In The Other Side of the INFJ, we discussed the typological traits prone to cause trouble and awaken the less flattering parts of the INFJ personality type; in particular, the high level of perfectionism brought forth by Ni’s commitment to an idealized Se manifestation and the consequent disappointment that follows when that ideal fails to be realized. What initially begins as a source of great joy and excitement in the early planning phase quickly turns ugly as the hard reality falls short of the hyper-inflated expectation. It should be fairly obvious that this same tendency is also present in INTJs since it revolves around the tension brought on by the dominant Ni and inferior Se functions. Both types tend to pour an incredible amount of energy into fantasizing about the best possible outcome for everything from job prospects to romantic relationships. They stake their hopes high and then, not surprisingly, get incredibly hung up on plans not materializing into their expected / anticipated / hoped for way. Of course, life teaches all of us that things may not go our way from time to time. Children tend to learn this lesson early, throwing tantrums at first but typically learning that mom is always going to say “no” to sweets before dinner, and so give it up before long. Eventually we all come to accept, as best we can, that there are things beyond our control that we would do well to make peace with and move on. But the letdown that follows an unrealized ideal hits INFJs and INTJs particularly hard. What’s notable is that even if INJs have experienced disappointment before, every time it happens you’d think they were experiencing it for the first time ever. There is such a high level of (apparently) authentic incredulousness that seems to suggest that the INJ never truly considered that things might not go the way he or she hoped – the way you might expect someone to react if he or she had never suffered a single disappointment in life. Those left to console INJs often find this, well, unbelievable, particularly in light of the perspicacity INJs typically exhibit. How is it possible, especially when the expectations they set were so very high, that they didn’t see this coming? Such is the incredibly naïve and irrational nature of the inferior function; no matter how many times INJs are forced to face the same Ni ideal/Se manifestation dilemma, they continue to live in a state of incredulousness (denial). What they’re doing, in effect, is allowing the inferior function problem to retain its throne in the subconscious. This is bolstered largely through projection of blame onto whatever parties are conceivably culpable for the undesired outcome. At no time, however, do INJs consider that the problem may lie with their unrealistic Ni ideals or poor Se performance skills. Therefore, every time another Se disappointment pops up, it feels new and unexpected. And in a sort of self-fulfilling prophecy, the calamity of the unrealized ideal is compounded by INJs’ negative reaction to it and something that could have been mitigated (at least somewhat) becomes a thoroughly ruined experience for everyone involved, bringing about an even worse result and validating INJs’ perception that they’ve been victimized. It quickly becomes a vicious downward spiral. While INTJ and INFJs both share the same above experiences with respect to Ni and Se, there are some notable differences in how they tend to resolve these experiences emotionally. INFJs have the benefit of Extraverted Feeling (Fe), which means they are usually quick to discover and then express feelings of disappointment and frustration to others. Since they tend not to bury their feelings (positive or negative), they have a more readily accessible “release valve” for the steam generated in the subconscious pressure cooker. Generally, if the feelings of frustration and disappointment are able to be fully expressed and sympathized with, they can move on. Not surprisingly, these reactions (especially from adult INTJ males) tend to be less socially acceptable and somewhat awkward for those forced to bear witness. And where INFJs tend to have a broader social support network upon which to rely, INTJs may have only one or two very close friends on which to lean for emotional support. But when it comes time to engage, INTJs tend to package their feelings in excessive intellectualizing, turning the perceived injustice into a “rational” argument about various technicalities that apparently went misunderstood. This can be burdensome for the one or two friends who become wearied of being expected to wallow in continued sympathy for the INTJ who, even after extensive and repeated discussions, may fail to find the desired emotional release. In these situations, even the most plebian of listeners will realize that there’s a chance the INTJ ought to accept some of the blame and consider it a lesson learned. But this usually falls on deaf (*ahem* stubborn) ears, as INTJs can’t imagine or accept that their might be a flaw in their logic. At times, INTJs’ intellectualization succeeds in subduing their negative feelings, allowing them to remain in a relatively pleasant mood. Truthfully, however, only the recognition of the more fundamental and recurrent source of their disappointment—the Ni-Se problem—is capable of freeing INTJs and INFJs alike. The hope is that in time INJs become less hell-bent on planning what could be (or should be) and instead focus on using Ni to interpret what is. In so doing, their inflated or unrealistic expectations will naturally diminish, as will severity of their disappointment. New insight into a very special group of people, deep, deep mysterious people. Keep it up Elaine! I am INFJ, however maybe because of my faith, I have learned to handle disappointment fairly well. We lost our son 5 years ago, and since then I find that I do two things. One, I expect the worst outcome so in essence I am surprised that anything should go as planned. And on the same note, I have developed anxiety over the expectation of things to usually work out poorly. Over time, I have overcome this negative outlook (mind you it’s mostly mental, introverted thinking while I’m typically more positive or at least neutral externally). I say now that I truly hope for the best and plan for the worst. Being disappointed does burn, so maybe that’s why I am gun shy of having my expectations set too high. I don’t like hashing things out for too long. I do not want to be the person that sits around sobbing and complaining and bringing up bad news all the time. Look up and look forward. We have the control in our lives to make it what it is, for better or worse. I do find however that because I stay relatively unmoved by life’s handouts, I occasionally spiral into a great deal of pent up anxiety. Once I work through it, I’m ready to move on. My mother dwells on everything for decades, maybe because of her I refuse to be that person that wallows in self pity and victimization. If anything I may be too apathetic. Who knows. I’m no psychologist! 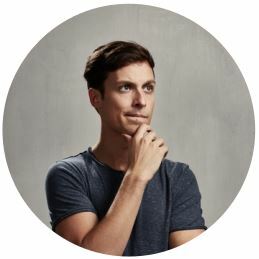 Wonderful insights and personal details — thank you for sharing. The INFJ perfectionism and idealism definitely sets us up to have high expectations for outcomes. But I disagree that we don’t see possibilities of things going wrong . We know very well that things can go awry, but as idealists we hope for the best. More so, I think INFJs see how things can go right and often they do, so when an unrealized potential isn’t met, it’s very devastating. There is grief for what could’ve been. The best metaphor I can think of to explain how I feel is to consider a pregnant mother. She has hopes, dreams and desires about the future life of her child. She imagines the possibilities of what could be: carrying her baby in her arms, taking her child to the first day of school. watching her child grow, graduate college, etc. Most often, people get to live out this dream, even though it doesn’t play out exactly as it was imagined. Maybe there are hurts and disappointments and it’s not as idyllic as envisioned, but it’s manageable. But let say this woman has a miscarriage, All of those hopes and dreams are over before they even began. It’s very traumatic. I put my heart and soul into every undertaking I take on no matter how big or how small. Each project, relationship, etc. is like my baby. So when those things don’t flower, I suffer a deep loss. Not saying it’s a healthy way to be, lol, but it’s how I experience things. Thank you! You eloquently put into words what I was thinking in response to this article.Yes, we know things can go wrong.We can see all of the possibilities, but we still want to have the hope that things will work out well. We’d be pretty miserable people if we didn’t want to look for the good in people, situations, or things, and yes things might not work out 100% of the time but at least we still retain our sense of hope regardless of how devastated we feel. This is so me! I get shocked and traumatized when wonderful things and relationships with great potential suddenly fall apart. I find it very difficult to recover or let go, I feel like everything around me has shattered and I can’t get out of the debris. The pain and grief inside my heart becomes part of a program that keeps running at the back of my mind, even when I’m currently focused on other things/people. And I almost never forget these “traumas”. It seems like overreacting from the outside, but my emotions are always very turbulent. “Disappointment”, as you’re using it for the INTJs, isn’t the same as what the INFJs are meaning and feeling in the same situation. Cynical and jaded, yes, but in most cases lacking the emotional involvement necessary to push it into personal disappointment. Just because things don’t always meet what we consider fairly reasonable and logical standards, doesn’t mean that we feel compelled to lower them, or are ever going to conclude that there’s anything wrong with having them. We’re never going to stoop to the level of embracing idiocy with open arms – even if it saves us from many disappointments in life, it’s unlikely to make an INTJ and happier. Many years ago I was told by a psychologist that I should keep my expectations of things very low in order not to get disappointed and accept reality and living in the here and now. Well, it didn’t work for me. I became very sad, subdued and depressed. 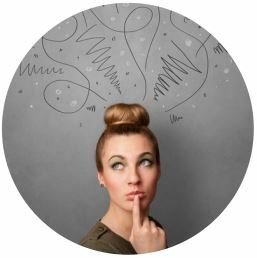 Many years later I discovered I am an INTJ-woman – MBTI wasn’t or isn’t used in Europe very often – and I realised that the heavy disappointments were a part of me and had somehow to be dealt with in another way. I learned to look at a situation from as many sides possible and indeed keep in mind that ideals will seldom materialise on earth in an idealistic way, but that what will come out of the idealistic vision will probably as good as it gets at this moment on – it is the way that matters, not the outcome. This way, it is easier for me to accept the reality of ideals. As an INTJ musician, this article does a reasonable job of explaining how I react when I record a song. I dream up a song in my head where it’s incredible and exactly what I want it to be and I believe I can record it and make it sound just like it is in my head… then I go about the work of doing it and find out each time that I’m not as good as I wish I was. Nevertheless… each time I record I’m substantially better at it than the last time. I only bring myself to do it once every few years as it’s just a hobby for me and incredibly time and energy consuming. Personally, I think it’s ok to shoot for the stars, miss, be disappointed and then analyze what can be done to do a better job next time. That strategy works pretty well for me. The big downside is that it does discourage me from trying which has something to do with the long periods of time between recordings. Only recently have I learned to distance myself from her rage and wait for her to get through it. 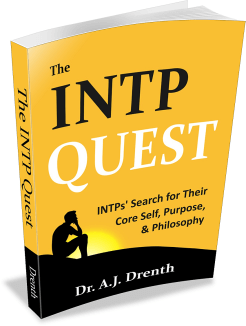 Being INTP myself, I tend to be much more flexible and include in a plan the possibility that it may not be achieved in the time frame I had foreseen. This led us to major misunderstandings in the past: I always react to her rage by “over analyzing” and “over rationalizing”, at a moment when she is totally unable to properly think. What always puzzled me was the fact that it always seemed the first time ever that she encounters disappointment, or frustration. With this paper, I now understand why she did not learn from past experiences and did not foresee the risk that the plan might fail. As a conclusion, thank you for this paper, it will help me interact more efficiently with her in such situations! Love your article!! As a infj I can totally agree with this article. As I am now learningto develop my TE .. Going back and obtain information on going forward to achieve my ideas with strong SE people that if learn to trust and value their expertise. This too is a learning curve for me. But with all the information on personality and development out there. The understanding of mySelf there is growth.. I just caught through doing Infj and infp clarifier. So vey helpful and very insightful to my nuances .. Went back and reread your book on True Type and gain at lot more insight in to mySelf. For the first time in my life (69years old) in see a lot of things that cause me to depressed and withdrawn and this article bring it home very clearly. Genius post. So right on. 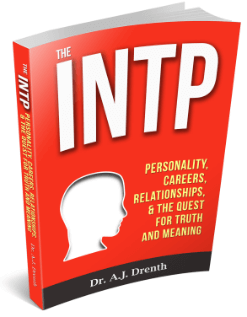 I’m married to an INTJ and a lot became clear through reading this. I’ve realized that when I talk about excitement for prospective plans, no doubt I am making the ni-se worse by heightening his expectations of an ideal in his mind with the added pressure of pleasing me. Often, I am stymied by his response when I exhibit excitement for possible plans of, “don’t get attached to it and don’t talk about it to others”, in a stern joy-squelching manner. Well, as an INTP, where possibility is literally fun and new replacement possibilities are always seemingly available, I don’t deal with attaching to an idea in an incapacitating way. I used to get confused and get in a tailspin as to why and how I earned such a response to excitement (which I meant as supportive). I suspected, and now pretty much *know*, that he was talking to himself as well as probably assuming that I am the same way he is, because how would he know others might not be like that? This piece is a guidebook to how to deal with my husband’s movement into the future. Oh so valuable also in showing how he manages feelings. We have had such storms (solely from his mood-bomb, literally) due to this ni-se dynamic wherein I think, “oh no, everything is falling apart (and some serious ???? )” based on his verbiage. But to me, everything looked pretty rosy. Seemed like unnecessary tarnishing of fine things. Normal ups and some give-and-take of downs are dramatic negatives to him. He tries to balance things out when he is in a more moderate frame of mind, probably especially as he is more mature as time passes. Thank you for a very keen post! KEEP UP THE GREAT WORK! An otherwise great article that reminds me to manage my expectations. Looking forward to read more on INFJs. Thank you so muxh for this article! As a female INTJ and an ennegram 4w5 INTJ I find the average articles on INTJs too “Te-oriented” so much that I read INFJ articles relying on the NI-SE combination hoping it will be enough, sometimes wondering if I’m one too..but I relate to Fi a lot. And reading your article is a confirmation because that’s totally me, my poor friends confirm. You can’t imagine how reading this resonates with my experience and how grateful I am and I hope you’ll write more articles comprehensive of both Ni-doms in the future. Hmm, I’m an INTJ female and I don’t feel like this article described me much. Especially the part where we don’t accept blame and aren’t open to feedback. I tend to do the opposite. I assess myself first and ask myself what I could do differently next time. I adjust my plan and try again until I succeed. I definitely don’t waste my time whining to other people. If I decide talk to others about it, it is for the sole purpose of obtaining more information in order to figure out a solution. I also appreciate it when someone gives me feedback. How else can I improve unless I know what my weaknesses are. Maybe I am lucky, but feeling extreme disappointment is rare for me. Disappointment comes from unrealized expectations and I generally don’t hold high expectations for outcomes unless I was the one driving the process. Because I would make sure I had a role in the things that were important to me. I suppose I could be called naive for believing I can succeed at anything with enough effort and perserverence, but it seems to be working well for me. I don’t think this article describes INTJs well or maybe I’m not an INTJ. In any case thanks for the read. As an infp, there are elements of this article that I relate to. I also have idealized visions of how things could be and am disappointed by the reality. Because my extraverted judgment is inferior, there’s less of a compulsion to concretely externalize my ideas, and I believe that’s the big difference between inps and injs. I will write an entire book or start, run, and sell a business in my mind, and so when it comes time to actually execute it, it feels done, time to move on to something else. In lies the frustration of the type (and the frustration others have with us). So many internal accomplishments, with little to show for it. I don’t really agree with this…. I think us INJs are often very cynical about how things are going to turn out. I’m an INFJ and I tend to think about every single thing that could go wrong. I have a sort of life motto that goes something like this: hope and work for the best, prepare for and expect the worst. It sounds a bit depressing, but I find it helps me to deal with disappointments. If I’m preparing for and expecting the worst then when it comes I’m ready for it, and if it doesn’t it’s a really pleasant surprise and I’m happy. Also, I’m really guarded about letting people know that I’m disappointed (and about telling anyone what my expectations are) – I think this is a fear of people knowing I failed or that I thought I was better than I really am. I’m an INFJ with an INTJ father and I found this post extremely accurate. Thank you for your continued insights! I am an INTJ. I don’t agree with this article at all. An INTJ is continually assessing a situation and should be aware of what is about to happen. When it does, it is not (or is rarely) a surprise. You should have already figured out a plan or two to be put into action once the inevitable happens. You whine about it and obsess internally for a while, feel sorry for yourself a bit, then you begin to execute your plan and you move on. INTJ here, and that’s not how we deal with disappointment. As one who has experienced much disappointment this past year alone, I can say that I (and every INTJ I know or have spoken with about this matter) deals with it fairly rationally. We always think of the most ideal situation to the point of creating an entire detailed fantasy about it in our minds, however we wouldn’t be INTjs if we didn’t think of other possibilities. Failure is another possibility we consider, and we consider what was out of our control, and what was in our control. INTJ Female. This was a great article. I even chuckled at my own stubborn attitude because, yes, my logic is flawless.